or keep scrolling to read the full guide. Do you wake up feeling energized because you can’t wait to start your work for the day? Are you excited by how committed, passionate, and motivated you feel, thanks to your career choice? If these feelings seem like they only happen to other people, you might be ready for a career shift. It's a switch that many people would like to take—in fact, the majority of Americans aren't pleased with their jobs. If you fall into this group, it’s possible that you’re looking for a thriving industry in which you can bring your energy and creativity together. As more people search for professionals who can give insights on living in healthier, happier ways, the health and wellness industry continues to grow. 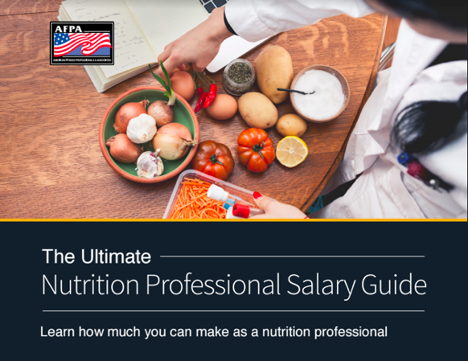 Opportunities for careers in nutrition and fitness are endless, and include fields such as nutrition, holistic health, fitness, and personal training. Within these are specializations that can help you hone your skills and build a sustainable, satisfying business or career that leads to the type of success and personal fulfilment you might be lacking in your current role. 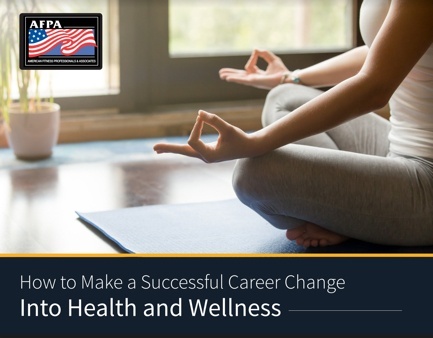 Read this step-by-step guide to determine if you need to make a career change, what opportunities exist in the health and wellness industry, and how you can create a plan of action and take first steps toward a professional change. Do you wake up feeling energized because you can’t wait to start your work for the day? Are you constantly amazed by how committed, passionate, and motivated you feel, thanks to your career choice? If these feelings seem like they only happen to other people, you might be ready for a career shift. The decision to change careers is, obviously, a major overhaul when it comes to life choices. Sometimes, people might think that their jobs are making them unhappy, when there are actually other factors that might be coloring that perspective—for example, frustration with certain relationships in their lives or a sense that there’s no upward mobility at a specific employer. The first step in making a career change is to ask yourself some difficult questions that will deepen your understanding of why you want this change. What aspects do you like the most? Are there skills you feel you’re not using? Is it your job that you find unsatisfying, or the industry that you’re in? Or both? How do you want to feel at the end of a day? If you used to like your job, what changed? Are there some values you have that have changed over time? Is helping others important to you? If so, are you satisfying that need in your current job? Are you challenged enough in what you’re doing? Do you see opportunity for personal growth in your industry? If not, what do you see as the barriers to growth? Is your industry a thriving one, or do you feel like you’re in a dying industry? To get some clarity, it helps to write down the answers to these questions. Take time to really contemplate why your current job might be unfulfilling, and what you want out of a career. Keep in mind that developing answers to these questions will take time and effort, and shouldn’t be rushed. A career change is a huge undertaking—even if you’re making the shift gradually, you want to make sure that you know why you’re considering a different career. Thinking it through will help you to form a more solid foundation as you make the leap, and inspire you to keep going when you face a challenge. The decision to change careers is, obviously, a major overhaul when it comes to life choices. Do you wake up feeling excited because you can’t wait to start your work for the day? Are you constantly amazed by how committed, passionate, and motivated you feel, thanks to your career choice? If these feelings seem like they only happen to other people, you might be ready for a career shift. 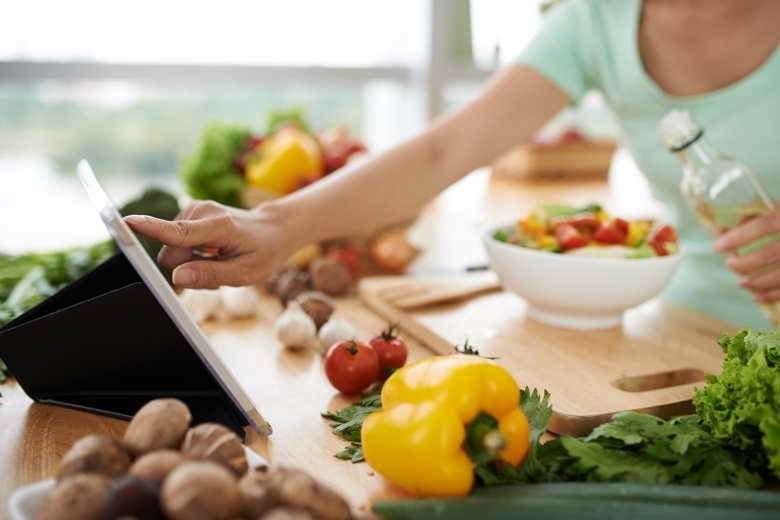 It can be difficult to decipher the mountains of information available online about nutrition, especially when that information tends to contradict itself. A nutrition professional gives clients guidance and coaching that helps them navigate healthy, tailored eating plans and make meaningful behavioral changes. There’s a breadth of career choices within this field, especially as nutrition has extended into workplaces, gyms, schools, health food stores, and many other areas. From meeting with clients one on one to leading educational workshops, you can have a robust, long-term career in the nutrition field. Many professionals find success with starting their own consulting businesses, and offering a number of services as a result. They enjoy the freedom and growth opportunities that come with being their own bosses. 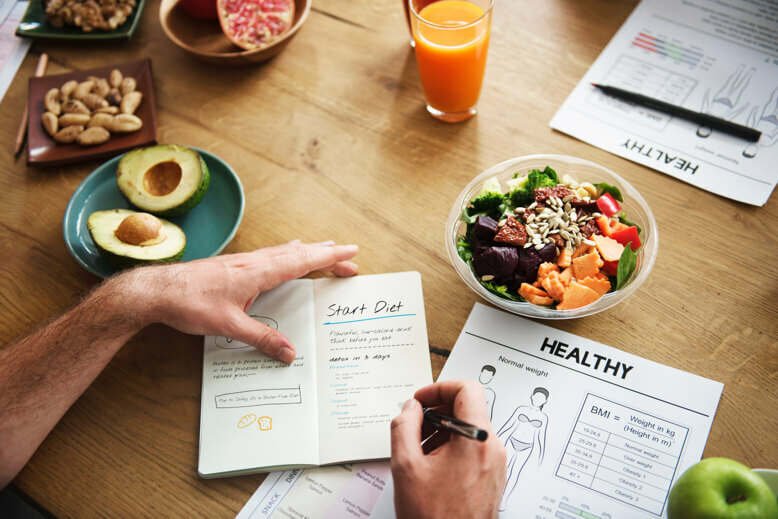 A nutrition professional gives clients guidance and coaching that helps them navigate healthy eating plans and make meaningful behavioral changes. Corporate wellness consultant: You can work in a corporate environment alongside HR to drive wellness efforts for employees. 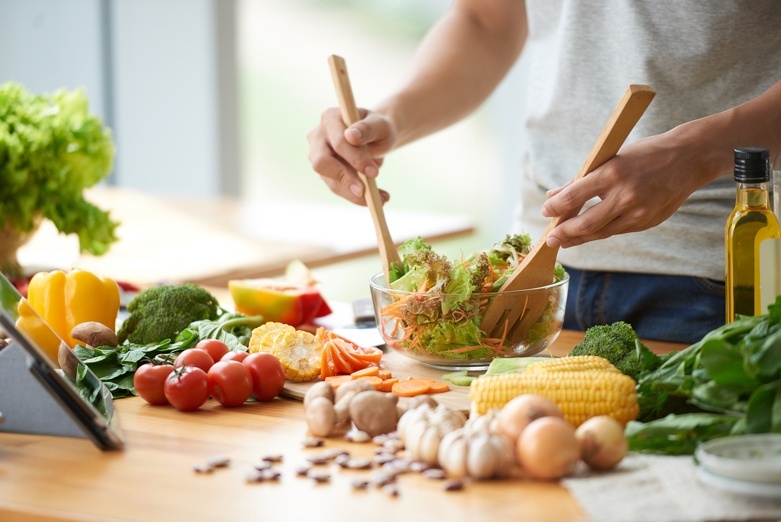 Wellness programs are becoming more extensive and well funded than ever before, and you can use your knowledge to help employees learn healthy eating options. In this role, you might work part time or full time in an office, warehouse environment, healthcare facility, or other location and assist with developing educational materials. You could also be an on-retainer consultant who helps several companies every week with their wellness programs. This is a good fit if you are particularly interested in workplace wellness initiatives. 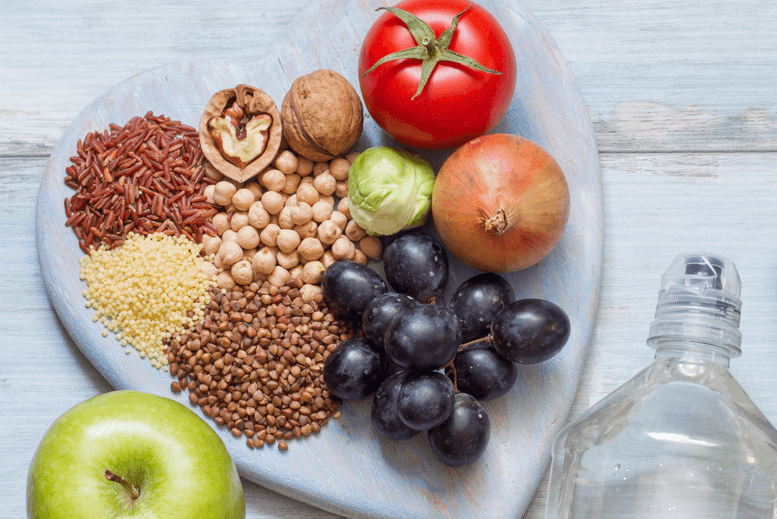 Holistic Nutrition Coach: Holistic Nutritionists are trained in natural complementary nutrition, and are able to coach, consult and advise clients on how to identify and help correct the nutritional causes of health complaints. 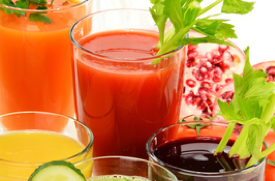 You would also be able to design personalized diet and lifestyle programs. This is a good fit if you love to learn about plant-based nutrition and whole foods, and have a desire to coach and consult clients on achieving optimal health. Weight loss counselor: Many weight loss centers, spas, and wellness centers rely on their counselors to help with one-on-one sessions and lead group discussions. In this role, you would articulate the importance of nutrition in the weight loss effort, and help people make changes that support their overall health efforts. This is a good fit if you’re interested in weight loss strategies, have lost weight yourself (or helped friends or family in the effort), and are interested in putting together weight loss programs that help others get healthier. Although personal trainers are well versed in workouts and strength training, that’s definitely not the limit of their expertise. In fact, with comprehensive education and certification programs, that’s just the beginning of the personal training journey. As a trainer, you can work with clients to help manage stress, lose weight, reduce risk of chronic disease, increase athletic performance, quit smoking, and accomplish other significant health goals. Trainers work in a variety of settings and assist clients in moving toward long-term health and wellness. Workshop facilitator: Whether you’re working at a gym or wellness center, or as an independent consultant, you can put together highly impactful workshops that drill down on one particular topic. These workshops are often very well attended, and they also can be a way to build up your personal training business. In this role, you’ll research a particular topic and create a presentation that’s designed to appeal to a group. You might create hands-on activities, handouts, and PowerPoint materials. This is a good fit if you love public speaking, and enjoy the research and organization that comes with workshop development. Sports team trainer: As a personal trainer, you have the ability to address the needs of a specific sports team. This will give you the opportunity to learn the deeper aspects of a sport’s demands. 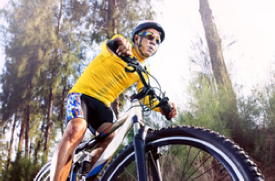 For example, you might support a cycling team, and help members with cross-training activities that keep them from overtraining their leg muscles. In this role, you’ll be part of a team’s resources that include coaches and physical therapists. This is a good fit if you want to provide specialized, one-on-one help to a number of athletes, and especially if you’re interested in the sport for which you’ll be a trainer. Fitness writer: Being able to articulate fitness information is sometimes an art as well as a skill, and becoming a writer who specializes in the field can showcase your abilities. In this role, you may be asked to provide articles, blog posts, case studies, athlete profiles, and other written material that helps advance an understanding of fitness. This is a good fit if you like writing and editing, and are adept at coming up with article ideas. Other career options: Fitness center personal trainer, fitness coach, wellness center coach, sports conditioning specialist, athletic performance coach. 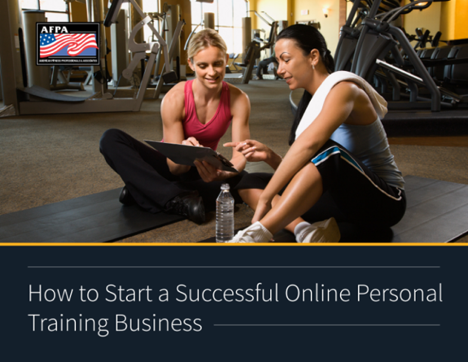 Many personal trainers start their own part-time or full-time personal training businesses. Personal fitness trainers work in a variety of settings and assist clients in moving toward long-term health and wellness. While personal trainers tend to work closely with clients, often one on one, fitness instructors thrive in group class settings. Putting together classes requires a high level of creativity and flexibility, as well as knowledge about many of the most popular group offerings such as bootcamp, step, muscle conditioning, interval, and circuit training. 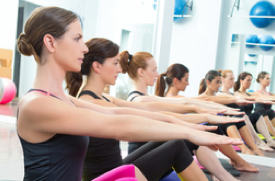 There are also more specialized classes that need experienced, insightful instructors, like those who lead groups in Pilates, yoga, aquatic exercises, kickboxing, stability ball training, indoor cycling, prenatal fitness, and youth fitness. Yoga instructor: In terms of growth, yoga has definitely become mainstream and in demand. Yoga teachers don’t just instruct at studios, but also conduct one-on-one sessions and lead workshops. In this role, you would put together classes, private instruction, and workshop sessions that showcase yoga sequences. This is a good fit if you are an avid yogi and want to share that knowledge with others. Group fitness leader: Being able to get a whole class of people energized and moving is an admirable skill, especially because these teachers have to ensure safety as well. In this role, you would develop group fitness classes that are motivating and fresh, for multiple fitness levels. This is a good fit if you already love group classes and you’ve experienced a wide range of teaching styles, which can help you develop your own unique style. Kickboxing instructor: Much like yoga, kickboxing is on a growth track, and being able to lead individuals and groups in the sport requires training and skill. In this role, you’ll put together multi-level classes that ensure safety and allow students to progress their skill levels from beginner to advanced. This is a good fit if you’re passionate about kickboxing and can articulate proper form during moves. Other career options: Fitness center group instructor, gym manager or owner, corporate wellness fitness instructor, Pilates teacher, youth fitness specialist. While personal trainers tend to work closely with clients, often one on one, fitness instructors thrive in group class settings. As you read through the descriptions in the previous section, what resonated with you the most? What made you feel energized and eager to learn more? You’re contemplating a career change in order to draw on your passion for a certain field, so don’t be afraid to tap into and acknowledge that enthusiasm. Another important question is, what are your strengths and weaknesses in terms of each option? Maybe you lean toward being a nutrition professional, but your backseat is filled with fast food wrappers. Or you like the idea of being a personal trainer, but haven’t seen the inside of a gym or participated in any exercise programs for years. You don’t need to eat perfectly and work out every day. But you do need to “live” the field in many ways. Often, health and wellness professionals are seen as examples to their clients, and model the behavior that they’re recommending. Identify any changes you may need to make in your personal life, as well as any knowledge or expertise you are currently lacking. When you have your choices narrowed down to one or two fields, it’s time to look at your educational options. That’s where a certification program is vital. A certification from an accredited organization gives you the extensive knowledge you need to excel in the field, and also assures your clients that you’ve received superior training. Another advantage to earning a certification is that you can get your education much faster and more affordably than with a four-year college degree. Plus, in a certification program, you’ll be learning only about your new field, rather than studying the sometimes non-relevant “foundation” and liberal arts courses that many colleges require. Holistic Nutrition Coaching Certification: Learn how to create lifestyle plans to support optimal health for your clients. 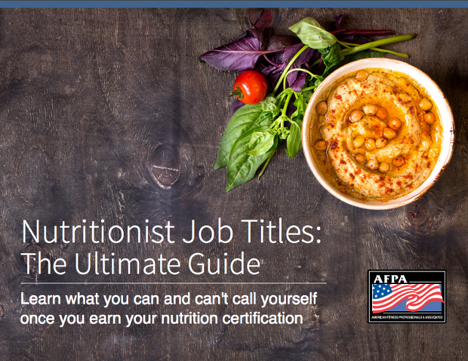 This certification will walk you through everything from whole foods and plant based diets to advising clients on how to identify and help correct the nutritional causes of health complaints. Nutrition and Wellness Consultant Certification: Teaches you how to give educated nutritional guidance and nutrition coaching to individuals and groups. You learn counseling strategies, client communication, and goal setting, so that you can put together nutritional plans. Sports Nutrition Certification: Perfect for nutrition coaching consultants, personal trainers, strength trainers, and group fitness instructors, this certification gives you the education you need to help clients get the most out of their workouts and develop an energizing, performance-enhancing nutrition plan. Weight Management Specialist Certification: Whether you’re looking to work in a weight loss center, spa, gym, or other healthcare setting, it’s likely that weight management will be a top driver for your clients. This certification provides behavior change strategies and nutrition protocols that drive clients toward long-term success in losing weight and keeping it off. Health and Wellness Coach Certification: These professionals work with clients to create integrated wellness plans that focus on a breadth of strategies, such as managing stress, preventing disease, strengthening mind-body connections, setting goals, and exploring alternative medicine. These coaches are found in a variety of businesses, including spas, wellness centers, and corporate environments, and as independent coaches. Personal Trainer Certification: You’ll learn to apply the principles of exercise science, human anatomy, and biomechanics to design tailored exercise programs for clients. 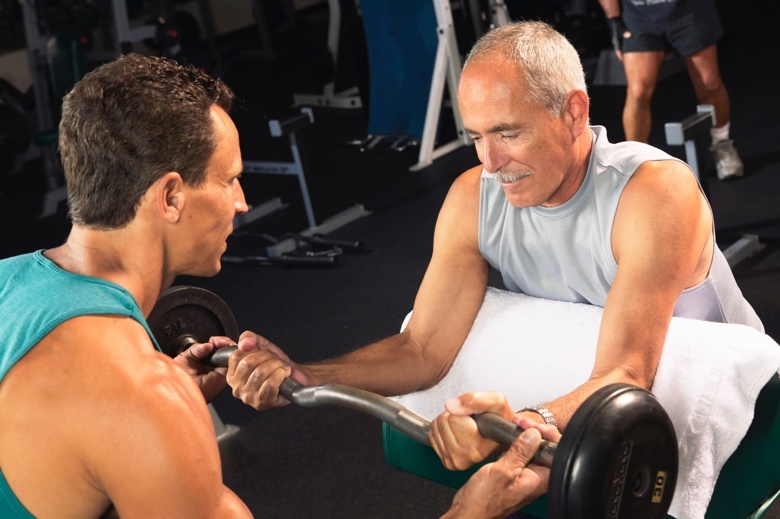 Personal trainers are also adept at conducting exercise testing that assesses cardiorespiratory function, body composition, muscular fitness, and flexibility. This certification will give you the insight you need to take a wealth of fitness information and apply it to individuals so they can meet their fitness goals. Group Fitness Instructor Certification: This type of certification will give you the skills to lead dynamic, safe, and effective group classes that significantly reduce injury risk while boosting student engagement. You’ll learn to explain and execute variations of movements in a breadth of classes, from bootcamp to spin class. Yoga Instructor Certification: Designed to let you teach classes and individual clients, this certification gives you knowledge about verbal and visual cues to use in teaching each yoga posture. You’ll learn modifications for postures and effective ways to work with students of different abilities in the same class. This will give you the background you need to work at yoga studios, in corporate settings, or in community-based workshops. Build your education much faster and more affordably than with a four-year college degree. These are just a few examples of the types of certifications that are available, and should give you an idea of the breadth of educational options to consider. With certifications, you can get an initial education in a field, and then move on to more advanced training that will help you deepen your knowledge or expand what you offer. 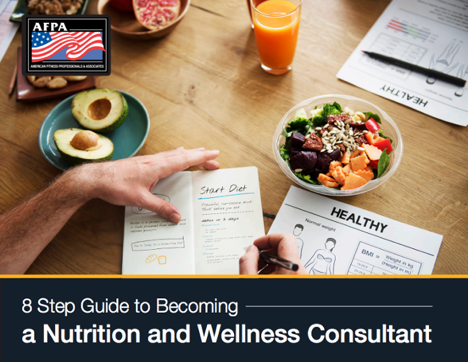 For example, you might earn a nutrition and wellness consultant certification, and then jump up to a master-level certification as you begin to counsel clients. Or you could incorporate several fields together. For instance, you could earn a personal trainer certification and then go after a weight loss specialist certification if you find that many of your clients are struggling with weight issues. You can also specialize in certain populations, such as youth or seniors. If you’ll be running your own business, do you need to take an accounting course so you can manage your books, or get a software program to manage your cash flow? If you’ll be trying to attract clients, do you have a marketing strategy in place that includes social media and networking? What will be the source of your income as you’re moving toward your goal? Are there ways you can economize to make the most of your savings while you transition to your new field? Would you feel more confident after completing an internship in health and wellness? If so, what organizations/gyms/spas or other businesses offer opportunities in your field? Do you know any professionals who are doing the work you want to be doing? Can you set up an informational interview to find out more about what to expect as you move into that career? Are there business-related classes that can help you to have a more robust presence in the field, such as building your own website, writing, communication strategies, or sales? Make a list of what you think you’ll need in terms of skills and resources, so that you’re ready for the next step toward your career change. Now that you know your end goal, which area of health and wellness you want to enter, and skills that you need to learn, it’s time to put it all together into a plan of action. Starting a new career may not be a linear progression—for example, you might earn a few certifications at once or earn one and then take on clients before getting another—but it’s helpful to put some milestone goals in place so that you feel you’re on the right path. Think about each large milestone and then break it down into smaller, achievable tasks that you can put on the calendar. It’s helpful to break each milestone down into smaller tasks, and give each milestone and related task a due date. Add these to your calendar, and set reminders in your phone. Not only will that help you get organized, but you can also feel a sense of progress toward your big goal of changing your career. The more you can document your journey and mark down your successes, the more you’ll feel confident in the direction that you’ve chosen, and see how swiftly you’re headed toward your dream career. In choosing a career focused on health, nutrition, and wellness, you’ll not only be changing the lives of your clients and students, but also your own. Make a solid plan that includes narrowing down your choices, picking a specialty, determining your strengths, and understanding your resources. Once you see how many opportunities there are in the health and wellness industry, you’ll be excited and energized for your fresh new career. Think about each large milestone and then break it down into smaller, achievable tasks that you can put on the calendar. Looking for a bit more guidance around what’s out there? Just like you, we share a passion for nutrition and wellness and the benefits of inspiring others through health and wellness coaching. We offer a number of different certification programs that are aligned with your goals and objectives, ultimately helping you gain a competitive advantage in the industry. At AFPA, we bring you the most advanced, innovative, and rewarding certification programs with a specialized focus on delivering the education you need to succeed. Our globally recognized, accredited programs have certified over 110,000 professionals since 1994. Turn your passion into your profession. Become part of the shift toward empowering others through health and wellness, by becoming an advocate for better health, fitness, and nutrition.